The zombie survivors are prepared for anything, with survival kits to defend against any zombie attack! With the NERFf Zombie Strike Survival System Scravenger kit, survivors are ready for any zombifying challenge. 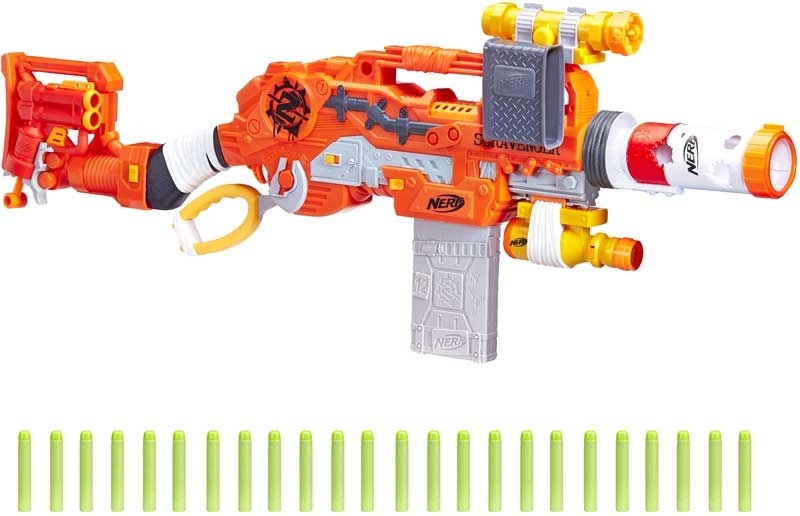 Battlers can load one of the 12-dart clips into the Scravenger blaster and unleash a dozen darts in a row before they need to reload. Store the second 12-dart clip in the holder on the attachable targeting scope. Slide the tactical light onto a tactical rail to use in low-light situations. 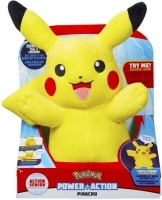 Stabilize shots by attaching the stock, which has a 2-dart blaster hidden in it, for a secret back-up blaster. 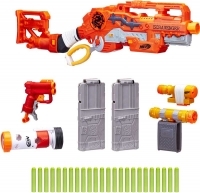 Add the barrel extension to modify the blaster for distance targets. 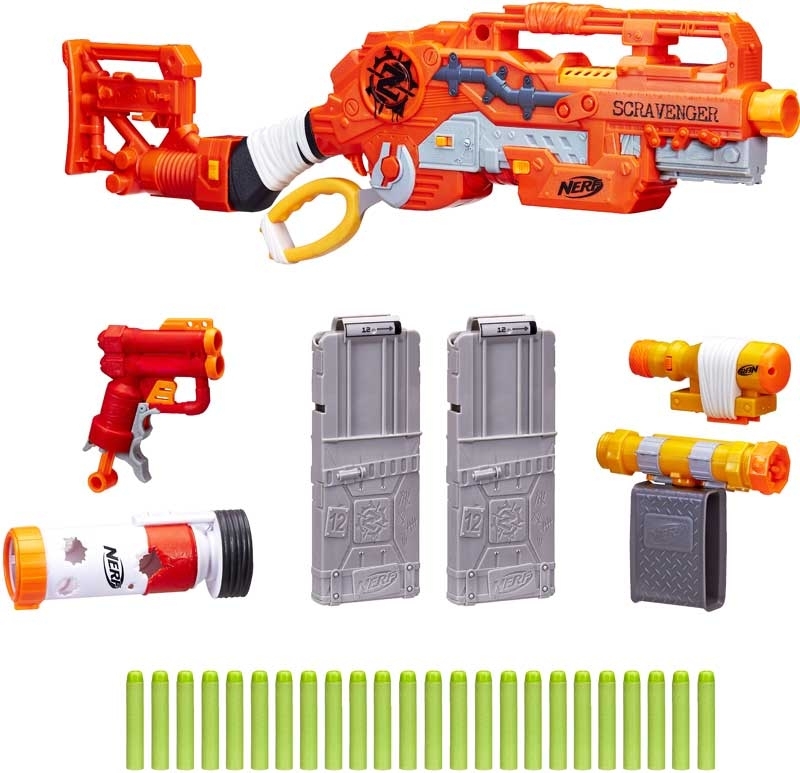 The lever-action Scravenger blaster features an on/off slam-fire button; switch the button to on position and keep moving the lever to fire all 12 darts rapidly. Stay ready for anything with the NERFf Zombie Strike Survival System Scravenger kit!